I'm currently taking commission orders for the months of April and May. Just email dregstudios@gmail.com with head shots of who you'd like drawn! Right now I'm running a special for 50% OFF making original full-color illustrations start at just $50 to draw a single person portrait. You (or whoever you want me to illustrate) can be yourself, your favorite superhero, a zombie, a monster- the sky is the limit! Well, it's actually not because I can totally draw you in outer space if you want. I've drawn super-powered teenagers, children playing with their favorite cartoon characters, even a couple as a dragon and faerie! Of course I can also illustrate standard portraits of folks just being themselves too! Drop me an email about your idea! I accept PayPal and have always worked out payment plans with folks if you're interested. Over the past few weeks, I've slowly let my family and friends know I am in a transition in my professional life. About six weeks ago I departed from my marketing gig of almost a decade. Many successful artists have cited losing their jobs as the catapult which broke them through in their careers. My art has provided a small slice of my income for the past 7-8 years but now I'm pushing the gas pedal and seeing what I can make of my free time while I hunt for a job comparable to my last as a marketing director. I know it will be hard to find another product or service I have as much passion about. Of course, I've always had the most passion for art. Let me put some of that passion to work for you! Happy St Patty's Day from DREGstudios! 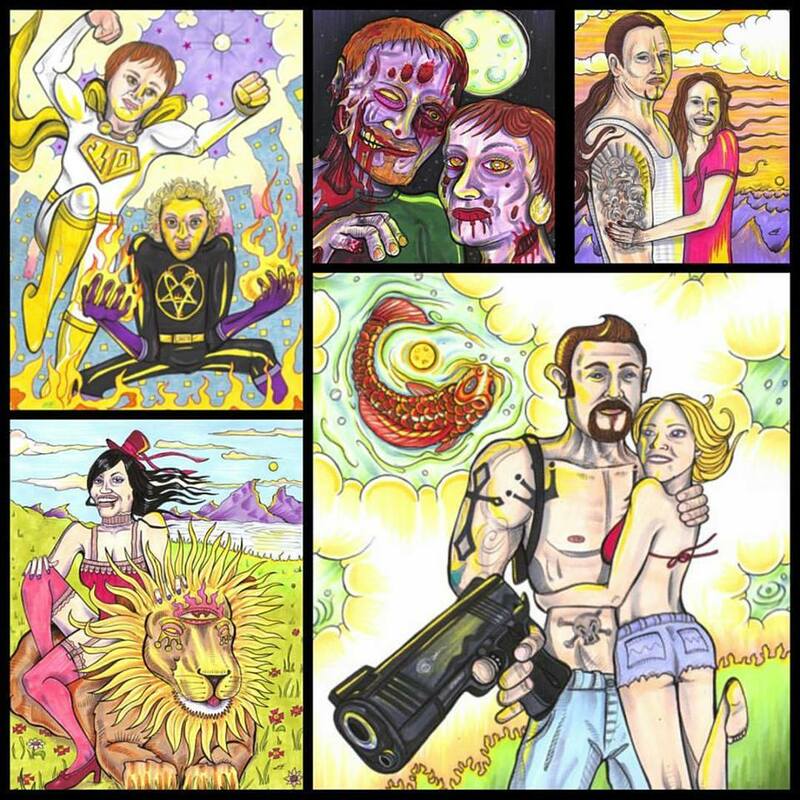 NEW Rock Star Martyr PRINTS Available NOW! All work Copyright 1980-2016 DREGstudios! and Brandt Hardin. Powered by Blogger.